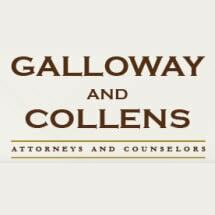 Galloway and Collens, PLLC, is an established boutique law firm serving clients throughout Oakland County and Southeastern Michigan. From offices in Huntington Woods, our lawyers represent individuals, families and small businesses in a few areas of the law: real estate, estate planning and probate. Our firm's partners have nearly 40 years of combined experience and have successfully resolved a range of complex legal issues for their clients. In addition, both of our firm's partners have been selected to the list of "Top Lawyers In Metro Detroit" as reported by dbusiness magazine. At Galloway and Collens, PLLC, our lawyers understand that legal issues can be highly stressful and take a toll on your family and your business. While our legal skill guides the resolution of your matter, we also place a high value on personal attention, frequent communication and responsive service. As your legal counsel, we will provide the assurance that you need to know we are working hard for you. In addition to serving our clients, we also believe in serving the community. Our law firm supports a variety of charitable organizations throughout Metro Detroit, and our lawyers donate their time and leadership to a number of non-profits.